The Industrial division of Littelfuse delivers vital products to address customer needs for protection, safe control and distribution of electrical power in industrial applications. The Protection Relay and Control product portfolio includes a comprehensive line motor and pump protection relays, arc-flash relays, ground fault relays, feeder protection, pump controllers, time delay relays, flashers and tower lighting, and more to minimize electrical safety hazards, limit equipment damage, improve productivity, and safeguard personnel from injury due to electrical faults. Professionals in construction, manufacturing, mining, oil & gas, solar, and many more industries rely on Littelfuse for rugged, lasting protection for their designs and critical applications. Ground faults, also referred to as earth faults, represent the vast majority of electrical faults experienced in most industrial facilities. Ground faults are caused by unintentional contact between an energized phase conductor and ground or equipment frame. The return path of the fault current is through the grounding system and any personnel or equipment that becomes part of that system. Ground faults are frequently the result of insulation breakdown, but can also be caused by other forms of cable damage or human error. It is important to note that damp, wet, and dusty environments require extra diligence in design and maintenance. Since water is conductive, it exposes degradation of insulation and increases the potential for electrical hazards to develop. In fact, studies have indicated that ground faults make up more than 95% of the recorded electrical faults, such as arc flash incidents. Ground fault protection relays, Ground fault protection relays are designed to detect phase to ground fault on a electrical system and trip when the electrical current exceeds the trip time setting. By quickly detecting the ground fault and initiating the appropriate response, ground fault relays improve electrical safety for workers and minimize damage to equipment due to electrical faults without affecting the uptime of critical operations. Ground faults are the most common type of fault in an electrical system, and most electrical codes such as the National Electric Code (NEC®) require ground fault protection for industrial systems. Littelfuse ground-fault relays are uniquely suited for use on systems with significant harmonic content, with microprocessor-based DFT-filtering technology. Selectable DFT filtering and peak detection algorithms are available to allow excellent filtering for both fixed-frequency and variable- frequency applications, providing sensitive ground fault protection without false tripping. By being able to detect electrical problems in the early stages, ground fault relays can significantly reduce damage and speed up the repair process. Sensitive ground fault relays with advanced filtering capabilities will detect the breakdown in insulation caused by moisture, vibration, chemicals, and dust. Ground fault relays are commonly used in industrial and manufacturing facilities on generators, transformers, switchgear, motor control centers (MCC), panel boards, variable frequency motor drives , welders and heating cables. Littelfuse ground-fault relays can be surface and DIN-rail mounted, or panel mounted with available adapters. When replacing other ground-fault relays, existing current transformers (CTs) can be used in many cases, greatly simplifying the installation. Adapter plates are also available for many retrofits, minimizing the amount of work required to complete the upgrade. See the models available here. Resistance Grounding solves the problems commonly associated with both ungrounded systems and solidly grounded systems. Resistance grounding protects a system against transient overvoltages caused by arcing ground faults and it provides a method to locate ground faults. The name is derived from the addition of a resistor between the system neutral and ground, also called neutral grounding resistor or NGR. The specifications of the resistor are user determined to achieve a desired ground-fault current, which must be greater than the system capacitive charging current. For systems 2.4 kV and higher, low-resistance grounding systems can be used. Typically in those systems the ground-fault current is 25 A or above and is cleared within 10 s.
Resistance grounding eliminates excessive ground-fault damage and single phase Arc-Flash Hazards associated with solidly grounded systems by reducing the ground-fault current to 5 A. Per IEEE Standard 141-1993, Arc-flash hazards are eliminated if the ground-fault current is reduced to 5 A or less. Properly sized resistance grounding systems solve two problems of ungrounded systems—transient overvoltages and difficulty locating ground faults. Resistance grounding systems eliminate transient overvoltages, single phase Arc-Flash hazards, and provide an ability to locate the ground fault. These capabilities reduce unscheduled shutdowns due to electrical faults and equipment damage. The NGR Family of Resistance Grounding Systems include all necessary components to convert or design a resistance- grounded system. Additional ground-fault relays can be installed on feeders to provide selective coordination as well as the ability to locate ground faults. Supplemental monitors are single function devices that only look at one abnormal condition and either alarm or provide a means to remove electric power. Visual indication can also be used. The purpose of a monitor is to provide an efficient solution to a dedicated problem. Monitors work together with existing protection, such as fuses, circuit breakers, or protection relays to enhance electrical system safety and performance by monitoring its components. The Littelfuse NGR monitors are designed for application specific functionality such as insulation monitoring, ground continuity and resistor monitoring. Ground-check monitors are used to detect problems in equipment ground conductors. Mobile equipment typically has an extra electric wire, sometimes called a pilot wire, routed with the phase and ground conductors. A ground check monitor uses this pilot wire to send a signal down to the equipment to a unique terminating device. The signal then returns on the equipment ground conductor to the monitor. The monitor continuously monitors this loop for open or short circuits, indicating that a problem has occurred. Insulation monitoring addresses the single most common reason for electrical system failure - insulation breakdown. Insulation monitors can be installed at any point in the system to detect a problem with the insulation. The monitor is connected to one phase and injects a dc signal to continuously measure the system’s insulation resistance. The monitor is typically installed on de-energized feeders or motors and is cycled with feeder’s circuit breaker or motor starter. When the circuit breaker is open, the monitor is energized and begins to monitor the de-energized cables and motor windings. In ungrounded systems, the monitor will continuously monitor the insulation resistance to ground regardless whether the system is energized or de-energized. Resistor monitoring are designed to detect a failure in the neutral to ground path, which can lead to electrical hazards electrical hazards. Some examples of failure are stolen wires, loose connections, corrosion and broken resistor elements. The resistor monitor continuously monitors the path from system neutral to ground for a problem. When a problem occurs, the NGR monitor provides an alarm. Motor Protection Relays prevent expensive damage to motors caused by overload and overtemperature, overcurrent, jams and undercurrent, high resistance winding faults, current and voltage unbalance, phase loss, phase reverse, heat from non-electric sources, heavy start-ups, motor jogging or excessive operational cycles. Features, such as integrated protection, metering, data logging, and remote communications extend motor life and maximize process efficiency. Overload protection is required by various electrical codes such as the National Electric Code (NEC®) to reduce the chance of electrical hazards and fire caused by problems with the motor or load. Littelfuse Motor Protection relays have a reduced-overcurrent feature that can reduce arc flash hazards during maintenance near energized equipment, allowing for a much safer electrical system. Littelfuse offers a wide variety of product to meet any level of motor protection need. What level of protection is right for you? Good: a basic level of protection is provided by monitoring the voltage going into the motor. Without protection, faulty conditions can cause motor windings to overheat and burn motor insulation – causing premature motor failure. The Littelfuse MotorSaver models 460 and 201A-AU protect against over/under voltage, phase loss, reverse phase, unbalanced voltage, and rapid cycling. Better: In addition to all the voltage/phase protection in the good level, you may wish to monitor the load side, log events, and view conditions on a display in real time - ideal for troubleshooting. The Littelfuse MotorSaver model 455 adds a second set of voltage inputs to monitor volatage on the load side of the motor contactor to detect contact failure, keeps history and the past 20 faults, and with the Informer-MS allows wireless viewing of fault codes and real-time voltages per phase, voltage unbalance, and more. Best: These enhanced overload relays combine all the voltage/phase protection features of the good and better products into an overload relay with on-board display and optional communications. The Littelfuse MotorSaver model 777 delivers underload protection to keep motors from running unloaded, easy programming, and real-time voltage, current readings and fault codes. Awesome: What’s better than best? Littelfuse has even more advanced motor protection relays that provide awesome protection of expensive motors in critical applications such as mining and oil & gas. The Littelfuse MPS and MPU-32 models provide protection, metering, and data-logging capabilities for three-phase low voltage medium horsepower induction motors. Interested in learning more about our Motor Protection Relays? Trouble-shooting guides, videos, checklist, case studies, and more can be found at Littelfuse.com/MotorProtection. Feeder Protection Relays protect feeder circuits from overcurrents, ground faults (earth faults), phase loss or other detrimental conditions in critical applications and processes. Feeder Protection Relays provide essential data for predictive and preventative maintenance—extending the life of equipment, enhancing safety and maximizing efficiency. Littelfuse Feeder Protection relays have a reduced-overcurrent feature that can reduce arc flash hazards during maintenance near energized equipment, allowing for a much safer system. Feeder protection relays are designed to detect faults in an electrical distribution system, extend the life of equipment and improve safety to personnel exposed to such equipment. They provide a high degree of flexibility and can coordinate with other protection devices on the system. Feeder protection relays are used in processing, manufacturing, petroleum, chemical, mining, forestry, water, and waste water facilities. Modern Feeder Protection relays are an excellent choice for retrofitting obsolete electromechanical relays. Arcing and arc flashes are uncontrolled, intense, luminous discharges of electrical energy that occur when electric current flows across what is normally an insulating medium. The most common cause of arc faults is insulation failure. These failures may be caused by defective or aging insulation material, poor or incorrect maintenance, dust, moisture, vermin, and human error (touching a test probe to the wrong surface or a tool slipping and touching live conductors). Arc-Flash events are dangerous, and potentially fatal, to personnel. According to OSHA, industrial Arc-Flash events cause about 80% of electrically-related accidents and fatalities among qualified electrical workers. 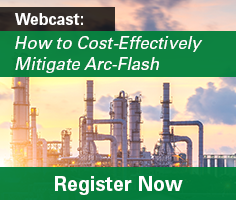 Even if personnel injuries are avoided, Arc Flash can destroy equipment, resulting in costly replacement and downtime. Arcing and arc flashes are uncontrolled, intense, luminous discharges of electrical energy…resulting in costly replacement and downtime. The Littelfuse Arc-Flash Relays help you improve safety and reduce equipment downtime in the event of an arc flash. Our relays use reliable light detection to detect an impending arc flash and send a trip signal to the breaker in less than 1 ms to interrupt power before damage occurs. Their simple plug-and-play installation makes them the perfect, cost-effective solution to lowering equipment incident energy (HRC). The Littelfuse SSAC Flashers include solid-state and relay output controls with fixed and adjustable flash rates. They are used to control inductive, incandescent, or resistive loads in a variety of applications. The Littelfuse SSAC Beacon Flashers and Lamp Monitors have proven their reliability through years of use on communication towers, smake stacks, cooling towers, tall buildings, bridges, and utility towers. The Lamp Monitors provide remote monitoring of lamps in these tower and obstruction lighting applications. For more information and product specific data, click here. Pumps are often exposed to hazardous conditions and situations that can cause severe damage to the pump. Littelfuse PumpSaver® products will protect and disable a pump in these situations. PumpSaver® products offer a wide variety of controls for both single phase and three phase applications. Among these control options are, intrinsically safe and alternating relays, pump controllers, liquid level controls and seal leak detectors, and power monitors which are all excellent choices for your pump protection needs. Applying electronic controls in hazardous environments can be difficult. Fortunately, Littelfuse intrinsically safe relays and pump controllers are specifically designed to interface between hazardous and non-hazardous areas. We provide several models of intrinsically safe relays and controllers offering distinct output relay configurations for a variety of systems. See the models available here [link to intrinsically safe page]. Alternating relays are designed to balance the run time between two independent loads, typical in many pumping and compressor applications. By balancing the run times, redundant equipment is equally exercised to provide greater system reliability. See the models available here [link to alternating relay page]. Multiple-pump applications often require balanced run times and redundancy. Littelfuse SymCom provides pump controllers (both intrinsically safe and non-IS) that are designed to handle multiple pump applications. See the models available here [link to pump controller page]. Littelfuse liquid level control relays are used to control conductive liquid pumping operations using either floats or conductance probes. They can be used in pump-up or pump-down applications. Our seal leak and leak/temp relays provide protection against seal leaks and over-temperature by monitoring sensors within the pumps and providing early warning or disabling the pumps. See the models available here [link to liquid level control page]. Interested in learning more about our pump protection relays? A variety of resources including our fresh water pumping catalog, case studies, application notes, and more can be found at Littelfuse.com/PumpProtection. Supplemental monitors are single function devices that only look at one abnormal condition and either alarm or provide a means to remove electric power. Visual indication can also be used. The purpose of a monitor is to provide an efficient solution to a dedicated problem. Monitors work together with existing protection, such as fuses, circuit breakers, or protection relays to enhance electrical system safety and performance by monitoring its components. The Littelfuse POWR-GARD monitors are designed for application specific functionality such as insulation monitoring, ground continuity and resistor monitoring. The Littelfuse POWR-GARD supplemental monitor line includes the PGM-8134 Ground Continuity Monitor, PGM-8325 Neutral Grounding Monitor and PGR-8600 Insulation Monitor. Littelfuse POWR-GARD also offers a variety of required and optional accessories such as the PGC Series Current Transformers, PGE Series Sensing Resistors and PGB Series Remote Indication Assemblies, Terminations and Adapters. Littelfuse acquired SSAC in 2014, a timer manufacturing industry leader known for its reliable designs that provide long service lives with low maintenance costs. SSAC has been an industry leader since its inception more than 40 years ago. These reliable designs allow SSAC to back products with an impressive 10-year warranty. The Littelfuse SSAC versatile multifunction time delay relays give you the option of choosing among functions and time delay ranges to ensure that you receive the perfect timer to fit your needs. Simply select the function and time range you desire on the face of your unit. The Littelfuse SSAC electromechanical relay-output time delay relays are available with a number of different features, including: delay-on-make, delay-on-break, single shot, interval, and recycle. All of our relay-output time delay relays assure isolation between input and output, as well as no voltage drop across output contact. The Littelfuse SSAC solid state time delay relays benefit from featuring no moving parts to arc and wear out over time, giving them a lifespan of up to 100x that of a relay-output timer. In addition, all of our solid state time delay relays are fully encapsulated to protect against shock, vibration, humidity, etc. What is a Protection Relay? How do Protection Relays Work? What is an Arc Flash?